Stephen Ou found fame within the startup space in late 2010, with his webapps Itunes Instant and TwtRoulette, which earned him coverage on big-name technology blogs including Mashable, Techcrunch, Inc, and Forbes. To tell us his story, and to hear his advice on running a startup, we invited Stephen to have a chat. Firstly, how did you get into the startup game? Where did it all begin? It didn’t really start as something serious. Back in 2009, while I was finding extracurricular activities to do, I discovered the tech industry. I was fascinated by how different online applications could make people’s lives easier. So in November 2009, I created OneExtraLap, a social quizzing application. Then in September of 2010, I made 2 web apps that took off quite quickly, iTunes Instant and TwtRoulette. They were both simple, weekend projects. But they both solved actual problems people had. Your current project, OhBoard, has found success on the Chrome Web Store, tell us about the process of designing and launching the application. 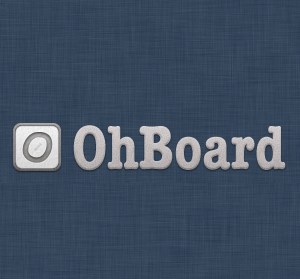 OhBoard started from a normal person’s painpoint – not being able to use a whiteboard digitally. There are some out there, but they are mostly cumbersome to use – a lot of features, but the interface is horrible. That’s not what people usually are looking for. So I made something that worked exactly like a physical whiteboard. I used a bunch of HTML5 features (canvas, local storage, etc.) and tied it with the Chrome Web Store so I could get more exposure from the marketplace. What are the most valuable things you’ve learnt throughout the time you’ve been running startups? Make your creations really good so that people want to talk about. This is really powerful. When I made iTunes Instant, because people enjoyed it so much, they told their friends and blogged about it. And from that kind of word of mouth, it became insanely popular. Tell us about your latest project, Artsy Editor. Artsy Editor was a little idea I had 3 weeks ago. Basically, I was frustrated with the messy writing interface on WordPress, and thought a distraction-free editor plugin would be a great idea. I eventually was be able to validate the idea with 100+ people, and 38 of them were ready to pay $10 already. And currently, I am in the process of designing and developing the plugin. What advice would you offer to other aspiring young entrepreneurs? Think small, start small. Many others say think big, start small. But I believe thinking big will give you unrealistic goals, and let you do unrealistic things. If you fail (likely to be the case if you think big), you will be discouraged. But if you do it from the small, hit easy-to-reach goals one-by-one, you will have a better chance to succeed. If you think about becoming the next Facebook or being acquired by Google, I recommend you to change it into make your first $1000 or get your first 100 customers. I think you will be a lot of happier that way. Check out Stephens’s personal homepage here, or follow him on Twitter.